Milfield Samurai is tall, quiet and very compact, almost reminds you of a Welsh Mountain pony on stilts. A very nice horse to look at, Samurai is currently schooling shoulder-in and half-pass in both trot and canter. He is showing some very good half-steps, which are getting better and better on a daily basis, and we expect very fancy piaffe to evolve from this exercise. The flying changes are straight, big and clean and he is very at home with changes every fourth stride, changes every third stride, changes every second stride and one-time changes have just been started. 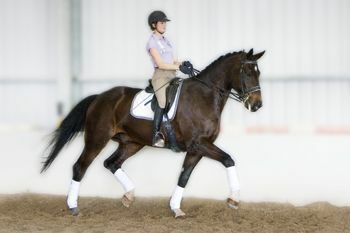 Canter pirouettes both ways are well and truly on their way and he has super mediums and extensions. Samurai could right now work his way through a Prix St George test in a very respectable fashion. 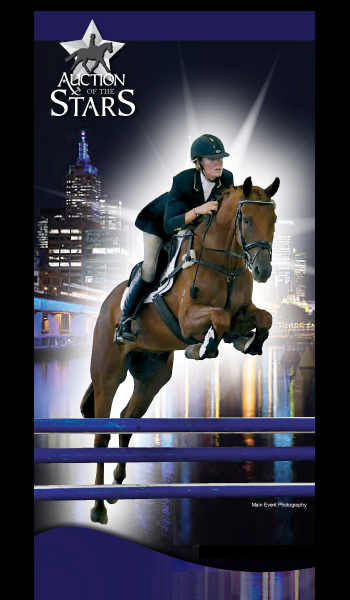 To date all of his training has been done by Glenda de Wit. Samurai is schooling with Heath Ryan and Cornelia O�Mahoney. Samurai has already had extensive success at medium level dressage competitions and we feel that Samurai is going to have a lot of competition success in the Small Tour and will quickly progress to Grand Prix. Samurai does have a parrot mouth.